March writing activities are a lot of fun because the topics are exciting - kids love writing about leprechauns, pots of gold, and coming up with wishes of their own! I wanted to show you some of my favorite March writing prompts and some other fun stuff. Well, of course I love NO PREP crafts since you simply print them and kids just write, color, cut, and glue. Anything no prep is my favorite. :) I’ve shown you many of my other no prep writing activities by month. I have a massive bundle of them or you can get just the March Writing crafts I show on this post too! This one is so fun to brainstorm and think of all the silly things that could happen if a leprechaun rode the bus to school with them. You can also do “If a Leprechaun Came to School” to think of all the fun things a leprechaun would do in class. Would they do math centers with you? Swing on the swings at recess? Leave green footprints by the teacher’s desk? Again, a super fun one to brainstorm then have them write their own stories! Kids also love to talk about what they’d do with a pot of gold! Have kids imagine they found the pot of gold at the end of a rainbow and imagine what they’d do with it. You may get some funny answers and also heartwarming ones... and then just plain silly. Along the same lines, have kids imagine they caught a leprechaun and were granted 3 wishes! This writing prompt is a GREAT excuse to practice First, Next, Last in their writing to list their 3 wishes. 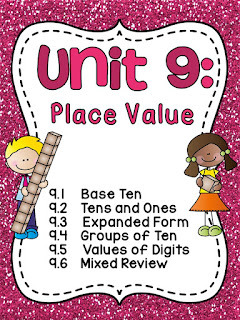 I try to sneak in specific writing skills like that in my writing no prep packs so that, even though it just looks like crafts, they’re practicing skills in the writing standards. 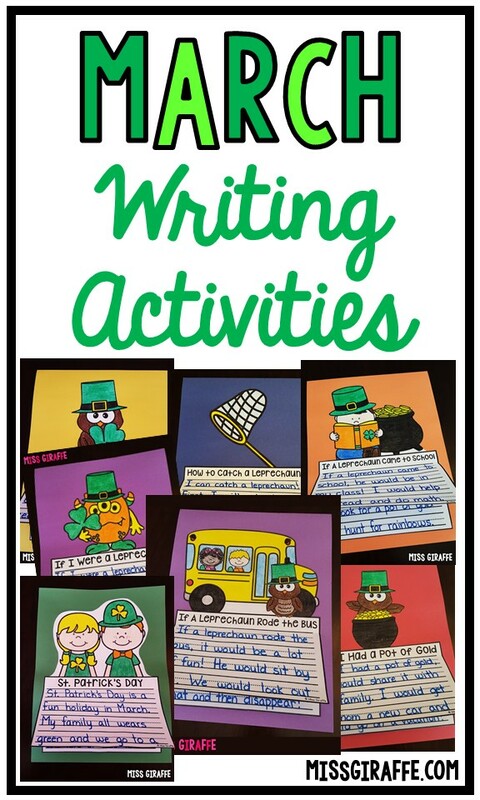 For example, “How to” writing is an important standard so have them write about how to catch a leprechaun! You could even do a project where students have to work together to construct a leprechaun trap! This is a really common activity in classrooms for St. Patrick’s Day so if you do a little searching, you’ll find some inspiration! Another writing genre you can practice is nonfiction writing. March is a perfect month for learning about weather and rainbows. Students can then write what they’ve learned about rainbows. 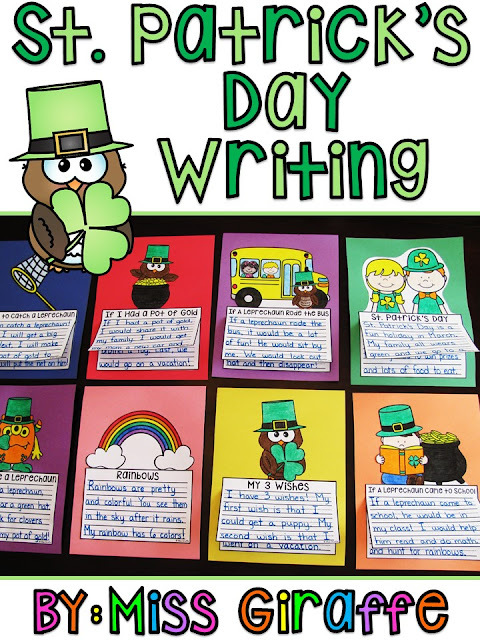 You can also have them write a nonfiction piece about the holiday of St. Patrick’s Day if you want more nonfiction writing practice OR have them write a narrative of how they normally celebrate St. Patrick’s Day using this simple craft. That’s actually one of the biggest reasons I created these no prep crafts – keeping up with seasonal bulletin boards used to be such a hassle but having quick writing crafts that look nice and are easy to do has made it so much less stressful. 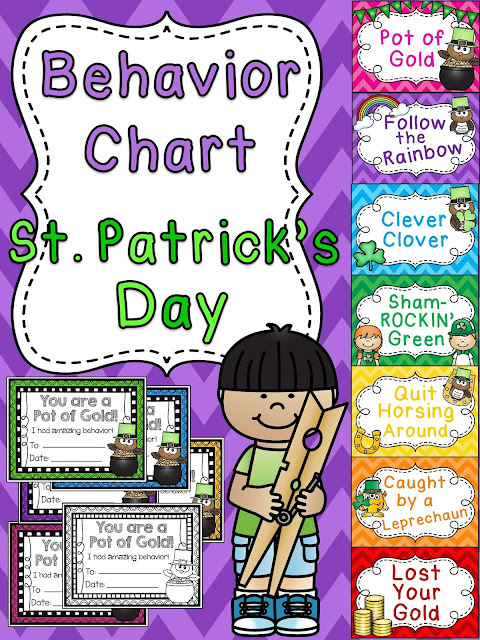 Another classroom display for March is my St. Patrick’s Day behavior chart! I LOVE switching out behavior charts each month (or even more often if you do different themes) to keep it fresh and exciting! As I’m sure you know, a lot of behavior management tricks work great BUT stop working after a bit of time when kids get bored with them. In my opinion, this is the case for behavior clip charts UNLESS you change them regularly! 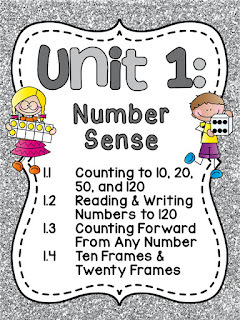 I talk about how I do this on my 20 Classroom Management Strategies You Can Start Right Away post and let me tell you, it’s a game changer! When the chart changes and they’re fun and new with a new goal (this one is to get to the top of the chart to find the pot of gold! ), kids get excited to reach the new goal and get the new type of award certificate to show their parents! The colors stay the same so you don’t have to explain the new chart – just switch it out and they’ll freak out excitedly when they come in that morning and see the new one. :) It’s my favorite! 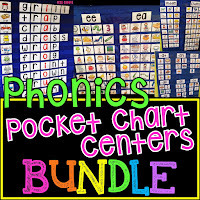 Speaking of pots of gold, this is the time of year when you’ve taught your kiddos a lot of different phonics sounds and you want to reinforce them. 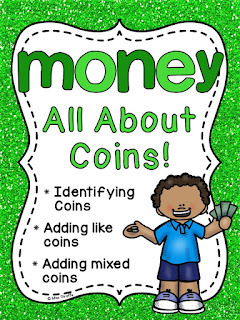 Bossy R sounds (or, ar, er, ir, ur) seem to be especially tricky so I made Bossy R Pot of Gold centers to review those sounds. 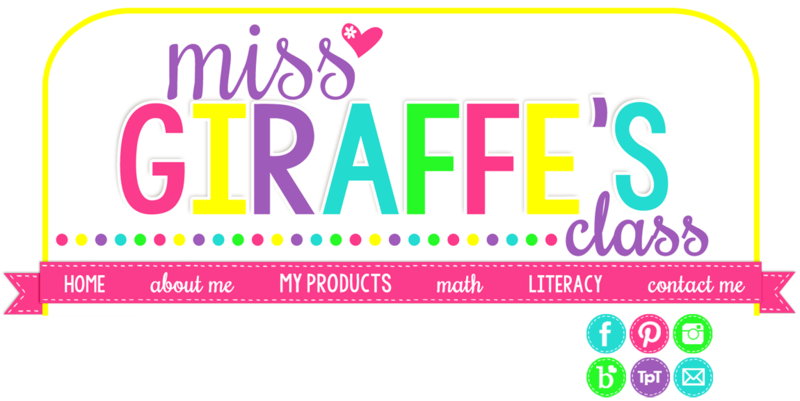 I also bring back pages to review from my Phonics No Prep Packs for the OR sound, the AR sound, and the ER IR UR sounds. If you teach R controlled vowels too, I actually have a TON, and I mean A TON, of Bossy R resources – you can see them all by clicking on “Bossy R” on the left hand side of my TpT store which is HERE. This week is also Bossy R word rolls! Kids roll the dice to make OR or AR words. If they roll a word they see on their mat, they get to color it in! 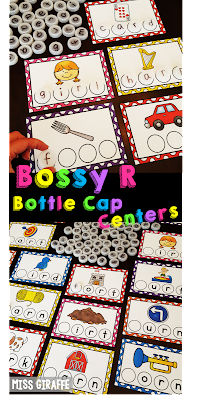 I have bottle cap centers sets for all the different phonics sounds since they’re such an easy way to practice. Another weekly activity for each phonics sound is notebooking which I wrote about in my Phonics Fluency Notebooks post. Whatever sound you’re working on, kids take the puzzle (the pictures are out of order) and read the reading passage. Then, they highlight the words with the phonics sound you’re focusing on (in this case: OR). Next, they sequence the events of the story by putting the pictures in order to complete the puzzle. Last, they read the puzzle again and write down the highlighted words at the bottom. 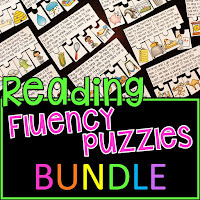 You can also have them read their completed puzzles and compare with a friend! Anyway! I could go on and on about bossy R activities – I love teaching phonics. Kids get a blank 100 chart and a stack of base 10 cards. You can see them on the left hand side of the above picture. They look at the base 10 blocks on each card and figure out what number it is. Then, they color that number the color of the card on their 100 chart to reveal a picture! I also recently added number cards to all my 100 Chart Puzzles too which you can see on the right hand side of the picture above. You can do either the base 10 cards OR the number cards OR mix & match them if you wish. There's a full set of each so you can use them however you wish. One more fun March Writing Craft! If I Were a Leprechaun!